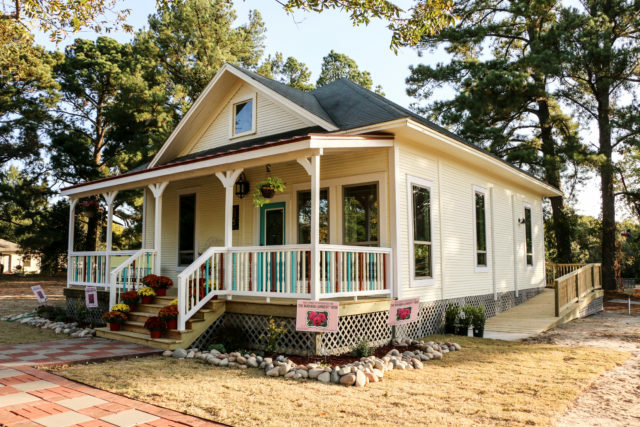 Rescue Rebuild and Miranda Lambert’s MuttNation Foundation Turn A Ramshackle House Into A Beautiful Shelter! 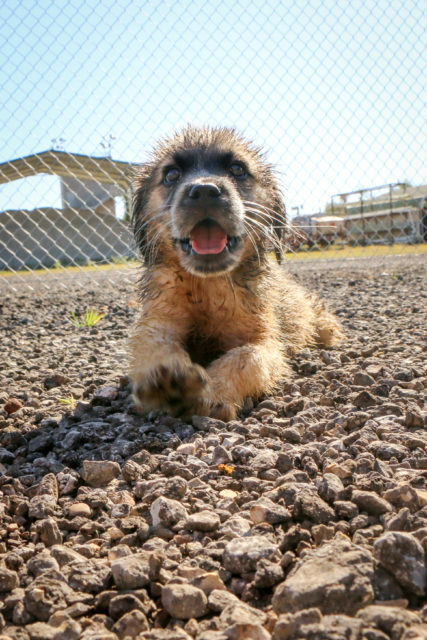 Lindale, Texas, is a small, East Texas town that you may not have heard of, but soon will after local country superstar Miranda Lambert and her MuttNation Foundation teamed up with Rescue Rebuild to build one of the most awe-inspiring dog parks and adoption centers to date. Lindale has a unique problem. They don’t have an animal shelter; they have a holding facility. These holding facilities aren’t open to the public, and this makes it tough for animals to get adopted. Miranda Lambert and MuttNation knew exactly who to call to help alleviate this problem. The City of Lindale donated land and a turn of the century house that was about to be demolished to be used as an adoption center. This adoption center will be used by local rescues to host adoption events while the dog park will be open to the public. This house had seen better days. The exterior paint was faded and cracked. There was a back addition that was structurally unsound and would need demolishing. The Rescue Rebuild team needed to completely gut the inside. There was even a hole that spanned all the way to the ground below and even a leaky roof. All this — and that was just to get the team to a starting point to where they could turn it into an adoption center. The first step was to have the house moved about 200 yards to its final resting place. It took several days but the house was finally moved, and Rescue Rebuild could finally start on what seemed like an endless process. Teams of local volunteers and several contractors all donated their time to make this a reality. They first had to divide up the volunteers into three teams; one team was laying out the posts for the soon to be dog park, another team was on the inside completely gutting the building, and the last team worked feverishly to scrape all the paint off the exterior of the house. After scraping the outside, it was ready for new paint, windows and doors! The inside took several dumpsters full of debris, but it was now finally ready for a whole new makeover. The inside took on a whole new transformation with all new walls, paint, tile floors, lights and wall fixtures and chandeliers. Next, the team had decks to build. A front deck and huge back deck overlooking the brand new dog park and meet and greets with an ADA ramp! New sod and even a paver walkway to connect the parking lot to the front entrance with custom bricks and pavers with all the names of donors and their pets! What an inviting way to welcome potential adopters! This was one of Rescue Rebuild’s most successful builds to date! 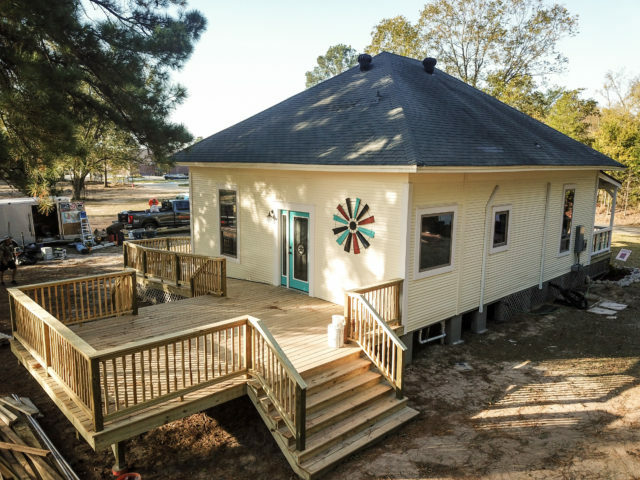 They had some of the most dedicated volunteers and contractors who were essential in turning this old shell of a house into a trendy adoption center that will be used to save the lives of so many animals in the East Texas area! 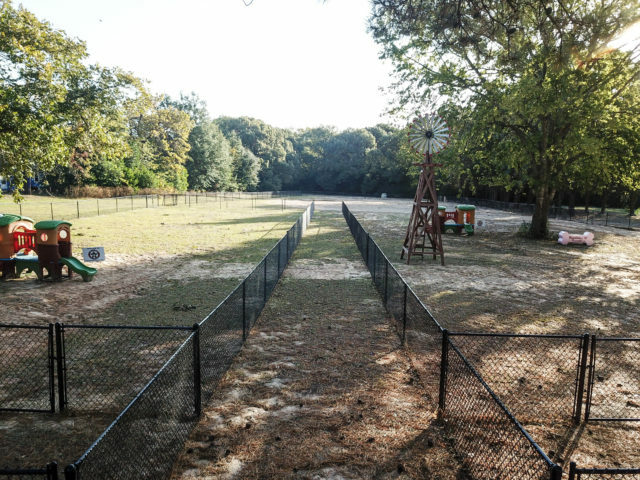 Rescues from all over will now be able to use this center to host their adoption events, and the public now has a free dog park for their pets to get exercise and fresh air! This incredible rebuild will help get pets in Lindale into their forever homes – and your purchases from the iHeartDogs store helped! When you buy anything from the Rescue Rebuild collection, 20% of the proceeds will go to GreaterGood.org’s Rescue Rebuild to help make shelter life better for pets who are waiting for families! 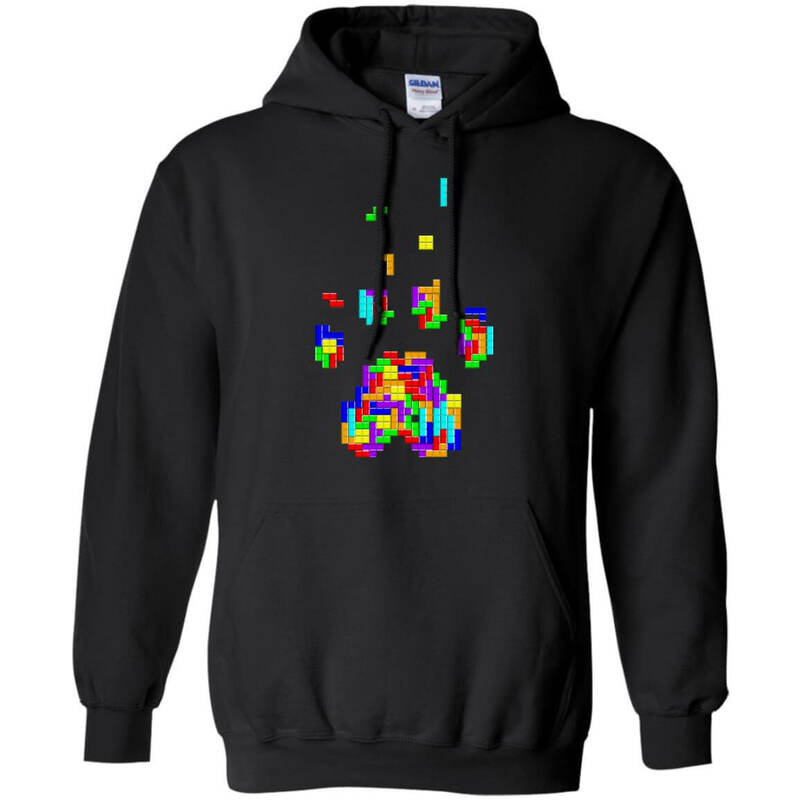 This hoodie helps rebuild shelters! Available in other colors and styles.